It was a treat to write this little booklet, based on the bus tours I used to do around the Island. It's packed with historical information, but written the way I speak, in a friendly, readable, likable format. Joyce took the photos, I added the poems, and a rough map of the Island. The booklet serves people driving around the Vineyard in their car, as well as a good summation for people who missed a few of the jokes on the bus. Good way to get a feel for the Island, but of course, there's so much more. Enjoy! A copy of Tommy's Tour is available for $10 by emailing me at thomasdresser@gmail.com. That covers it! We mail it out the same day you request it. Check it out. 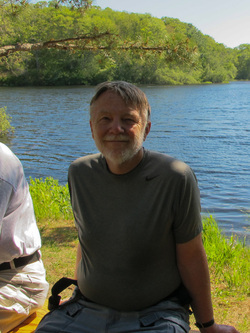 Here's a shot at Duarte's Pond as we completed the cross-Island Land Bank hike on June 1, 2013. My feet were sore, and I took a nap the next day, but it was another magnificent experience, learning more about the back roads and hidden gems of Martha's Vineyard. 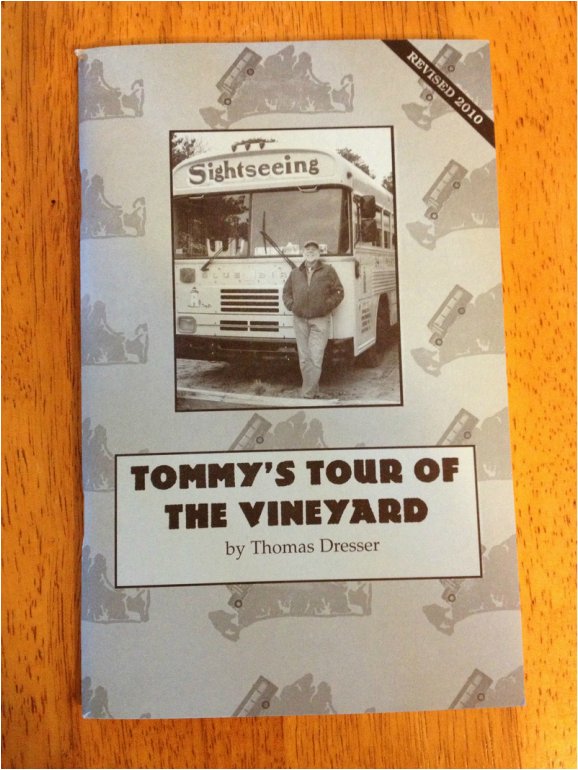 Tommy's Tour of the Vineyard is a great way to get a sense of the beauty and majesty of the Vineyard. Full of history, personality, stories and tales, there's something for everyone in this popular booklet. Based on the bus tours which work their way across Martha's Vineyard, the book is easily adapted to the tourist in his automobile. Check out the Tour, available at the Corner Store and the Pequot Inn, both in Oak Bluffs and the Bunch of Grapes in Vineyard Haven.